differencemakers community blog: Dual Leadership: Success or Failure? Recently, Mr Arun Jaitley criticized the Congress's dual-leadership with Sonia Gandhi as a powerful party president and Dr Manmohan Singh as PM. The model is being internally debated by the Congress, which is torn on whether it will repeat the experiment with Mrs Gandhi's son, Rahul. Mr Jaitley said the Congress's model was faulty; the elected leader must have the last word, the ability to over-rule and take the biggest decisions. In a dual leadership structure, the leadership role is split into two positions that are held by different individuals. In case of the ruling UPA government, the Chairperson Mrs Sonia Gandhi (with her inner circle of trusted party loyalists) is the behind-the scenes-leader involving politics, planning future strategies for success and forging/breaking alliances with the voter base and the party image in mind. On the other hand, the Prime Minister Mr Manmohan (along with the Council of Ministers) handles the protocol dictated responsibilities involving administration, governance and economic planning. The dual functions of guiding people's activities and an organization’s administration—even in the best-run companies fosters structural complexity, competing sets of goals, multiple stakeholder claims and values in some tension with one another. Wherever organisations need to have a structural cohesion, the integration of the structure demands unitary leadership. However, where organisations have matrix reporting and interwoven structures, dual leadership is possible through structural separation. Firms having separate people in the two top positions appear to be having a stable leadership structure. While the empirical evidence on leadership structure is limited, much of the recent evidence appears to support the view that separating the titles of a CEO and Chairperson would improve corporate performance. Firms that switched to a dual leadership structure had better long-term performance than firms which maintained combined leadership. To an extent, the shared leadership between the Mrs Sonia and Dr Singh has worked to an advantage. At times when Mrs Sonia bore the brunt of the opposition over her loyalties, or her plans to prop her Rahul Gandhi for the PM slot, it was Manmohan who deflected the attacks by highlighting more important decision making and economic issues. 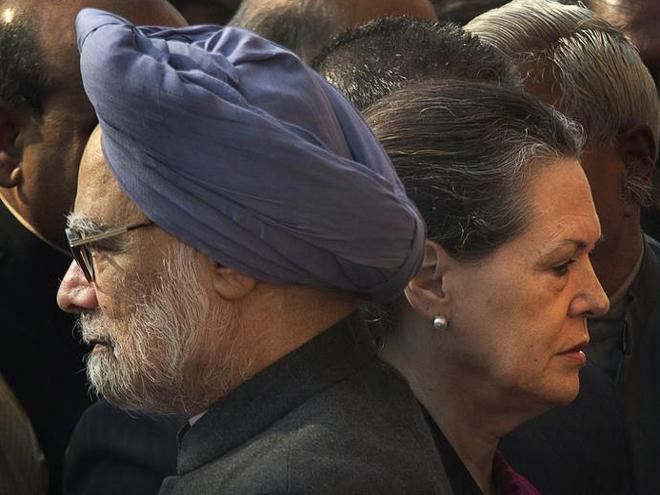 And when Prime Minister drew flak on his timid nature and display of lack of aggression and urgency in certain sensitive issues, Sonia was able to take a step forward to plan some strategic alliances to create a political climate that engrossed the other parties and the media and gave him the much needed space. However, in a blog on the same subject, the author says, "The duo of Sonia Gandhi and Manmohan Singh was once hailed as a perfect combination – she directs the policy as the UPA and Congress party chief and he implements as the head of the executive. Somewhere down the line the combination has stopped working and instead has paralyzed normal functioning of the government. Sonia Gandhi’s proclivity has been populist and supposedly pro-poor measures like the NRGEA which leak with corruption on way to delivery. She is not enthused about economic reforms and growth measures which the Prime Minister would like to take up and which are expected to bring in prosperity to be shared among countrymen. But Manmohan Singh cannot move an inch without approval from 10 Janpath which is not readily forthcoming. So there is a paralysis both in policy planning and implementation." The dual leaders must complement each other. This have been formalized in the Bales-Parsons model and according to these ideas one leader should be instrumental and one expressive. The instrumental leaders is characterized by a more instructive, enterprising approach and the expressive leaders are characterized by a more solidary, thought provoking view on leadership. Even though the model makes clear that one leader could posses both the instrumental and the expressive leadership abilities it is made clear that the case with two leaders complementing each other is the preferred one. When choosing leaders it is important to take this in consideration otherwise it will result in an ineffective and a dysfunctional team that will be detrimental for any organisation. Meanwhile, one can only wait and watch if the UPA's dual leadership model will continue to produce results as in the past.